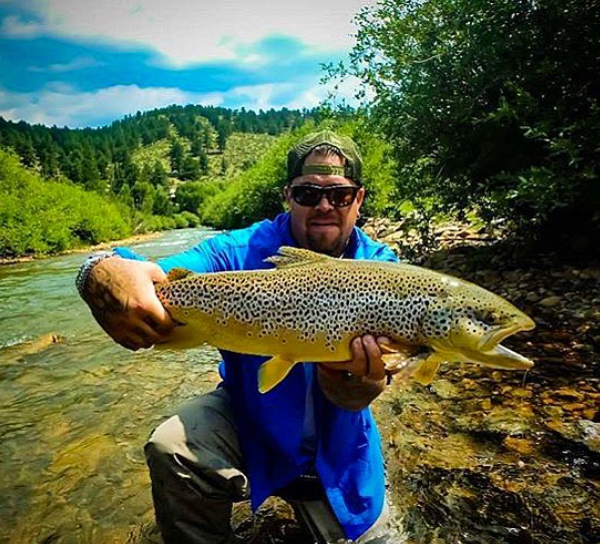 Above is Jason with a 28 inch Brown Trout landed during the Battle at Boxwood event on July 21. 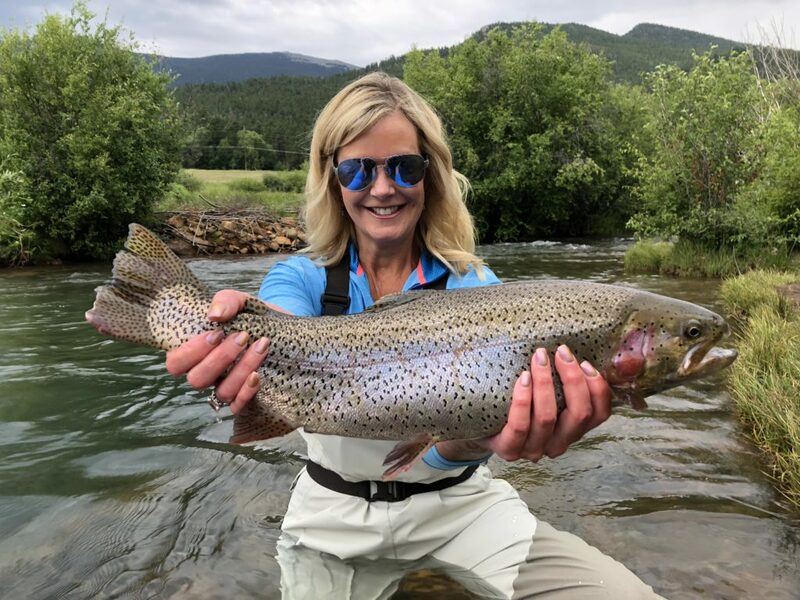 Here is Dana, my daughter, with a great looking Rainbow landed on July 15 on a size 20 bug in 350cfs of water.These fish are good representatives of the size and quality of fish landed in July. a few examples of other trips: July 2, 10 anglers landed 100+ fish, 6 species, big fish 27 inch Bow. July 6, 4 anglers landed 25 fish, 3 species, big fish a 12 lb 31 inch Bow…quit early due to lightning. July 13, 2 anglers landed 22 fish, 4 species, big fish 22 inch Bow. July 14, 6 anglers landed 60 fish, 6 species, big fish 28 inch Cutbow. July 18, 2 anglers landed 25 fish, 4 species, big fish 31 inch Bow. July 21, 40 anglers(Charity Event), over 300 fish landed, 6 species, big fish 28 inch Brown (see photo). July 25, 8 anglers, 104 fish landed, 5 species, big fish 24 inch Bow. We have had great water conditions, 180-350 cfs, very clear and 47 degrees…the fish love it. Some fish landed on dry flys, most on small nymphs and streamers.We expect fishing/catching to remain excellent with more and more fish eating on the surface.